Former top civil servant William Cheng passed away on 10 November 2010, about a month and a half shy of his 82nd birthday. When the Oral History Centre interviewed him in 1994 for our project, “The Civil Service - A Retrospection”, Cheng recounted some of his most memorable experiences in the public sector, where he began in the Special Branch of the Police Force, moved into the Administrative Service at the ministries of Education and Labour, and later came out of retirement to be a diplomat. What stood out most strongly in his interviews was his role in battling communist elements in the 1950s and 1960s, and how, by the 1970s, a more stable society had developed in part because of the contributions of civil servants like himself. Born 1928 in mainland China, William Cheng was the son of an official in the Chinese nationalist government. The elder Cheng was the first post-war Chinese Minister to Australia and later appointed Ambassador to Iran. However in 1949, following China’s turn to communism, the elder Cheng resigned from the government and moved his family to Hong Kong. William Cheng was then studying Modern European History at Oxford University, but joined his family in Hong Kong upon his graduation in 1951. After a year of teaching History at Queen’s College, Hong Kong, William Cheng accepted an assignment to Singapore, which came about as a result of his father’s extensive diplomatic contacts. “You know […] my father was anti-communist and I am also anti-communist. So at that time Malcolm McDonald was the British High Commissioner for Southeast Asia. Now his Deputy […] Christworth was the Secretary of the British Embassy in Iran. So he knew my father well. So my father wrote to Christworth, I think then he took it up with McDonald. And McDonald arranged for me to come over to Singapore […] to fight […] against the communist insurgency. I was put into Special Branch. I joined the Police Force.”. As a young officer involved in the intelligence gathering of subversive elements, Cheng was at times tasked to assess where particular public individuals lay on the political spectrum. One early assignment was to evaluate the politics of an up-and-coming young lawyer named Lee Kuan Yew, who, five years later, would become the Prime Minister of Singapore. “I think it is sometime in 1954. 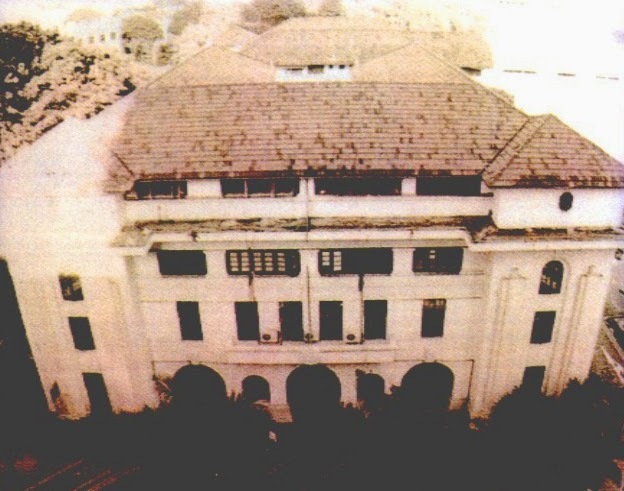 At that time the British were not quite sure how, LKY’s stand was because he was running with the pro-communist front […] The Special Branch at that time […] there was a section called the ESI, English Speaking Intelligent section […] monitoring the English speaking intellectuals in Singapore. The officer-in-charge at that time was a British officer called Finch and I was his number two […] Finch […] arranged to invite LKY over for a drink in his house […] I still remember LKY sat opposite me; Finch on my left and Mrs Lee on my right. Generally we were chitchatting. The main objective was to make an assessment to see whether LKY was a communist or not. 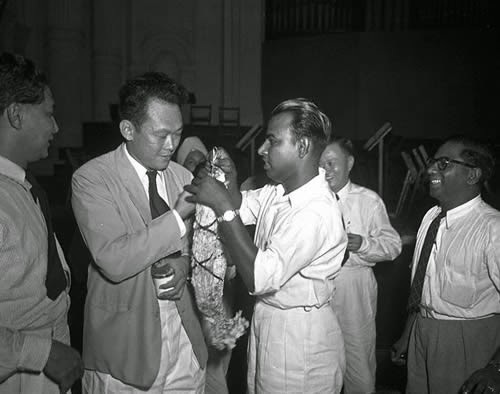 Just 29 years of age, Lee Kuan Yew (2nd from left) was gaining a reputation for fighting on the side of workers against unfair treatment by the colonial government. Here, a member of the Singapore Post and Telegraph Uniformed Staff Union is presenting a garland to him at Victoria Memorial Hall, 11 April 1953, after he had successfully represented postal clerks in a wage dispute against the government, which saw the clerks receiving 28 months' back pay. Cheng’s evaluation of his years at Special Branch was balanced, finding the experience thrilling but also conceding the difficulties of staying too long in this line of work. From the Police Force, he moved on to the Ministry of Education and was appointed Principal Assistant Secretary. Ironically, despite this career change into the Administrative Service, he found himself again dealing with communist elements, this time focusing on student agitators in the schools and universities. “At that time there were many student societies in Nanyang University, all communist controlled. Then they all affiliate and come under the Nanyang University Students Union […] Outside the university they have the Nanyang University Graduate Association - also communist controlled. So one in[side], one out[side]. They controlled it very, very firmly. They control the flow, the supply of the communist cadres. Nanyang University was the site of student political activism. 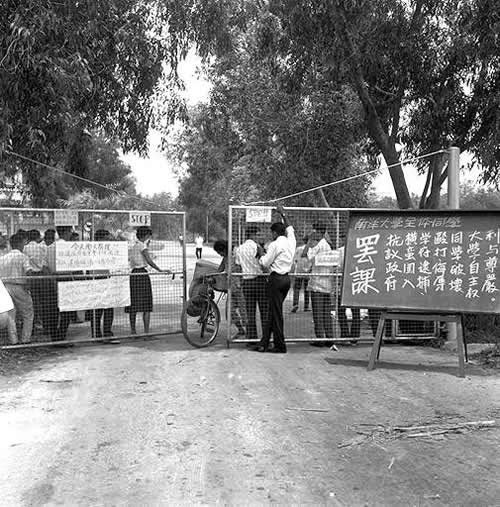 In response to a Security Branch crackdown on left-wing student leaders on 26 September 1963, large numbers of students at Nanyang University barricaded the grounds and a riot ensued, resulting in injuries sustained by both students and policemen. By the 1970s, the social-political climate of Singapore had stabilised immensely from a decade or two before. When Cheng took up the appointment of Permanent Secretary (Labour), he found that his job had been made easier by the foundations of tripartism - the relationship of cooperation between unions, employers and the government - that had been laid down before him and led to a new era of industrial peace. Cheng retired from the civil service at age 50, but was soon asked by Minister for Labour Ong Pang Boon if he would go to Taiwan to take up a diplomatic appointment. Cheng accepted, becoming Singapore’s Trade Representative to the Republic of China (Taiwan) for nine years (three terms) from 1979-1988. “We used to have a joke. The British used to sign their letters and finished, ‘Sir, Your Obedient Servant, Yours so-and-so”. We used to say: you are neither obedient nor servant; you are the law sitting on the people. In those days, when I say civil servants, the top echelons are the British, and the middle and lower echelons were the Asians, the locals. As I said, you aid your masters. The British were overlord. They also acted as overlord. The civil servants were not popular […] in those days the civil servants belong to the ruling class. It’s only the PAP came in the attitude has changed. How can u trust a special branch officer?! They are spies. They tell lies for a living.